With a Guide Book for the Artist Percussionist -- Covering All of the Instruments of the Percussion Family. Composed by Morris Goldenberg. Edited by musical interpretations and editing by Anthony J. Cirone. Method/Instruction; Percussion - Snare Drum Method. Morris Goldenberg Classics. Book. 184 pages. Alfred Music #00-0714B. Published by Alfred Music (AP.0714B). ISBN 075790906X. English. Musical interpretations; editing by Anthony J. Cirone. 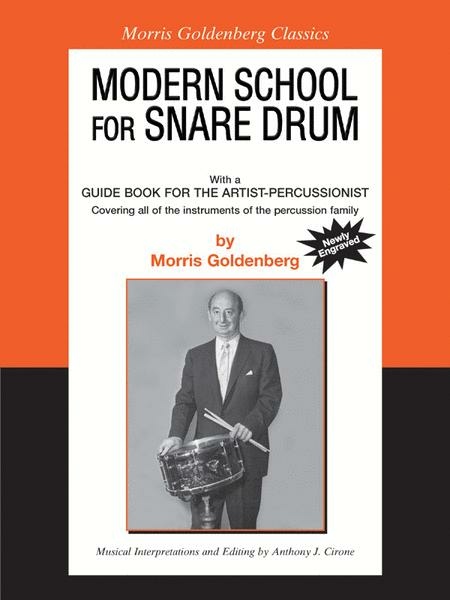 The "Goldenberg Book" has been used by generations of orchestral snare drum players to develop their skills. As well as studies and etudes, this book includes excerpts of major orchestral repertoire for snare drum and all of the instruments of the percussion family. This edition, edited by Tony Cirone, includes phrasings and stickings along with re-engraved etudes. 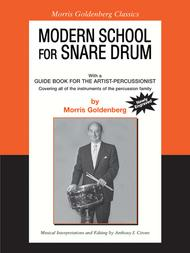 This book is the primary source for percussionists to learn proper technique and important orchestral repertoire.